Here are some examples of the types of marking tools available. These single bevel marking knives, used in conjunction with a try square or a combination square and a precision ruler, can be used for laying out mortise and tenon joints. 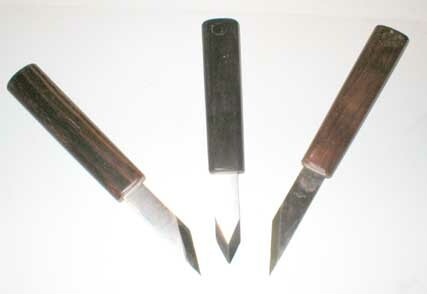 These single bevel left hand, ambidexterous and right hand knives are from Steve Knight Toolworks but there are many others available in woodworking tools catalogs. 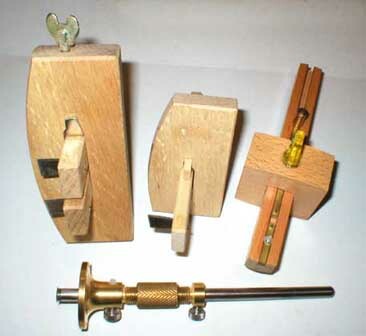 The disadvantage of using marking knives for mortise and tenon joints is that you have to use a measuring device as well. It's reading the measuring device that usually causes inaccuracies in the layout. 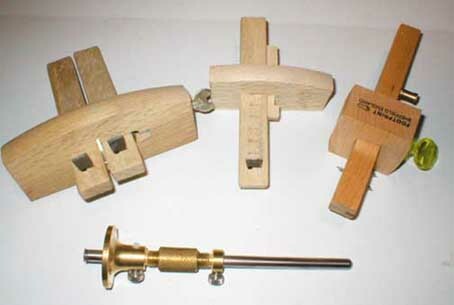 The Japanese mortise marking gauge, while scribing more accurate lines with single bevel knives than its western counterpart, has one disadvantage. Because the knives of the Japanese version are offset, it's more difficult to set the distance between the knives to the width of your mortising chisel.